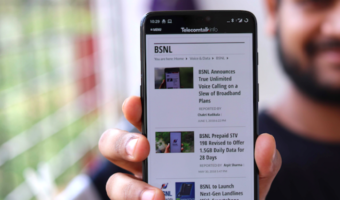 TelecomTalk has learnt that Tata Docomo will be launching 3G service starting this Diwali.TTSL has recently acquired the 3G spectrum for 9 telecom circles for rolling out the next generation 3G Mobile and Data services. Tata Docomo will also roll out its TV ad featuring about its 3G service starting today. We will be exclusively reviewing this 3G Advertisement when it goes live. Tata Docomo becomes the first private Telecom operator to announce date for commercial 3G services. 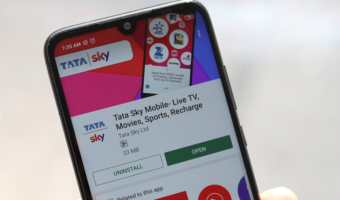 Tata DOCOMO was Launched in India in Association with NTT Docomo which has greatly helped DOCOMO to bring the 3G services in action prior to any other operators (Remember NTT Docomo is the First Operator in the World to bring the 3G service and it is about to Unveil 4.5G). One can expect the expertise of NTT DOCOMO to play a huge part in making the Tata Docomo 3G services a big success in the country.3G services help mobile service provider to offer high quality multimedia voice and data services, such as Video streaming-Live TV, Video conferencing, video calling, high speed mobile Internet and other 3G services to its customers. We are aware of Tata Docomo’s revolution in India, the first Operator to bring the Per Paise Billing. Indian Telecom Industry witnessed huge tariff wars soon after the launch of Tata Docomo. Now The 3G is in the hands of Tata Docomo one this is for sure customers can expect some Good tariffs. Tata Docomo has 3G Spectrum in 9 telecom circles named Maharashtra & Goa, Gujarat, Karnataka, Kerala, Punjab, Haryana, Uttar Pradesh (West), Rajasthan and Madhya Pradesh-Chattisgarh. The operator doesn’t have 3G spectrum in most lucrative circles like Delhi and in Mumbai. I am Happy to Say HAPPY DIWALI!!!! with Support of DOCOMO 3G. (Maharashtra).